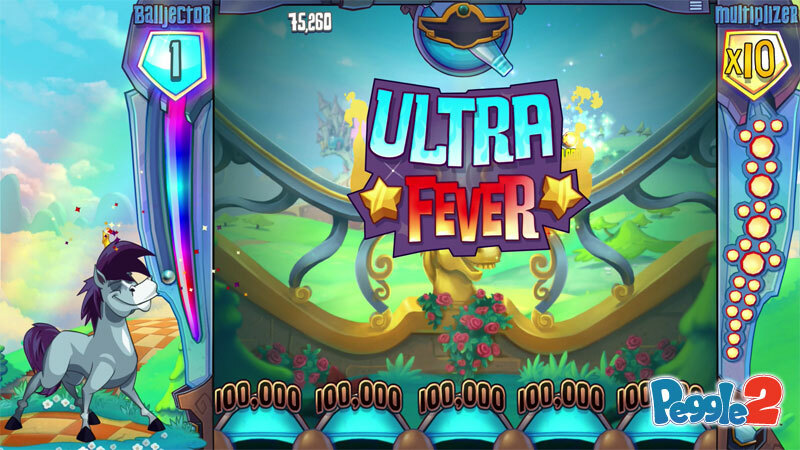 Peggle is back, and it really is better than ever. The formula is all the same: shoot your balls and hit the pegs in a great mashup of plinko and strategy. You aim your shots and shoot your balls, gaining points and multipliers for every peg you remove. The goal is to remove all of the orange pegs from your board and get the highest score you can without running out of balls. With very little core gameplay changes, aside from the addition of new “armored pegs” that take two shots to remove, what can really be so amazing about a game like this? A lot, actually. Each chapter of the game gives you a different Peggle Master whose special abilities you can use when hitting a green peg. Some, like Bjorn the Unicorns, just help you aim, while others can radically change the board and your strategy. Four of the five masters are new, and all of them bring new special powers along with hilarious dialogue that makes the game a new experience that you can’t get bored of. Each chapter has 10 levels along with 10 “trials” that task you with completing a very specific task such as beating the board with only one ball, earning under 100,000 points, and other objectives. These trials are challenging and give the game a new breath of life after completing the main game. The game provides a challenge that will keep you coming back, and with an amazing sound track, beautiful graphics of sweeping vistas and spooky graveyards, and that wonderfully unique sense of hilarious charm that only the team over at PopCap can provide, Peggle 2 is a perfect excuse to sit back, relax, and knock down some pegs. Peggle 2 is a complete joy to play, and is essentially a perfect game, aside from the constant abuse of Xbox One’s Game DVR (recording a clip every time you score a large amount of points at once) and the game slightly overscanning on multiple TV’s I played it on. Peggle 2 is the type of game that sells a system, and Microsoft has done well in getting it as an Xbox One exclusive. 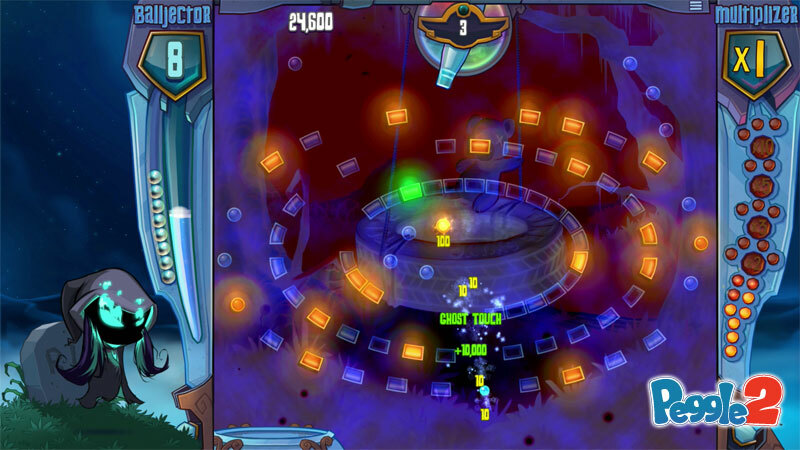 Must Play: Peggle 2 is a much needed addition to one of the most played games in history. Bringing together a unique sense of charm, a beautiful soundtrack, and some amazingly fun gameplay, Peggle 2 is one of the most uniquely enjoyable games you’ll ever get the chance to play. Peggle 2 is an addictingly perfect game that will keep you coming back for not just months but years. Copyright © 2011-2015 LevelSave LLC. All Rights Reserved.